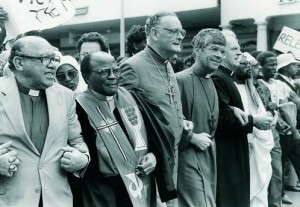 equality and human rights, peacemaker and icon of hope for reconciliation and justice. Our thoughts and prayers go out to his family and countrymen. helped give birth to the shareholder advocacy movement as recalled in this podcast by one of ICCR’s founders, Paul Neuhauser. continue to fight against injustice wherever and whenever we encounter it. This was Mandela’s lifelong message and his passing will not diminish its relevance in our world. to testify, to advocate and raise our voices for justice…we will continue the climb in his name.